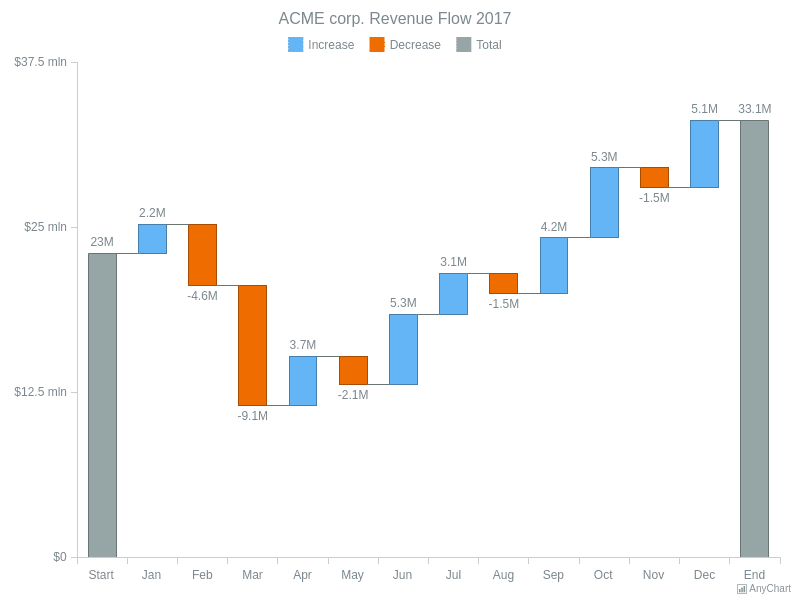 ACME corp. Revenue Flow 2017Waterfall Chart visualizing data that includes relative values, i.e. differences (or deltas) between sequential ones. Its series labels feature a custom format. 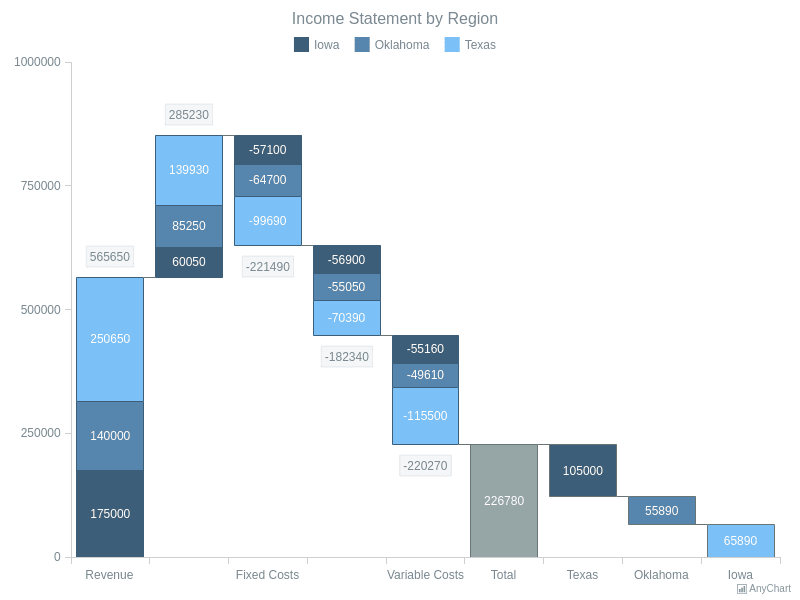 Income Statement by RegionStacked Waterfall Chart based on absolute data values. The color of each series is explicitly set for each state: increase, decrease, and total. 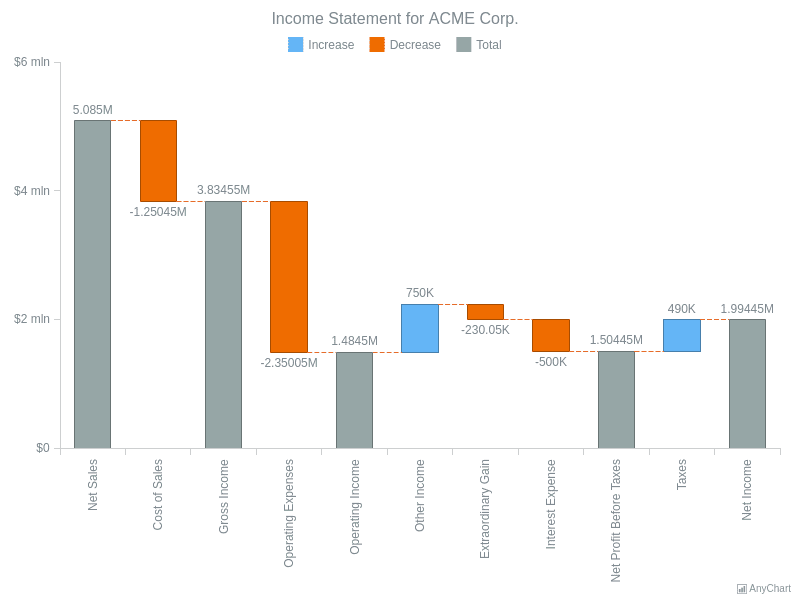 Income Statement for ACME CorpWaterfall Chart based on relative data values, i.e. deltas (differences) between sequentially added values. Data also includes subtotals. Point connectors are set up and customized additionally.